The only thing more special than a blue-eye-shadow kind of night is a blue, pink, and gold eye shadow kind of night. 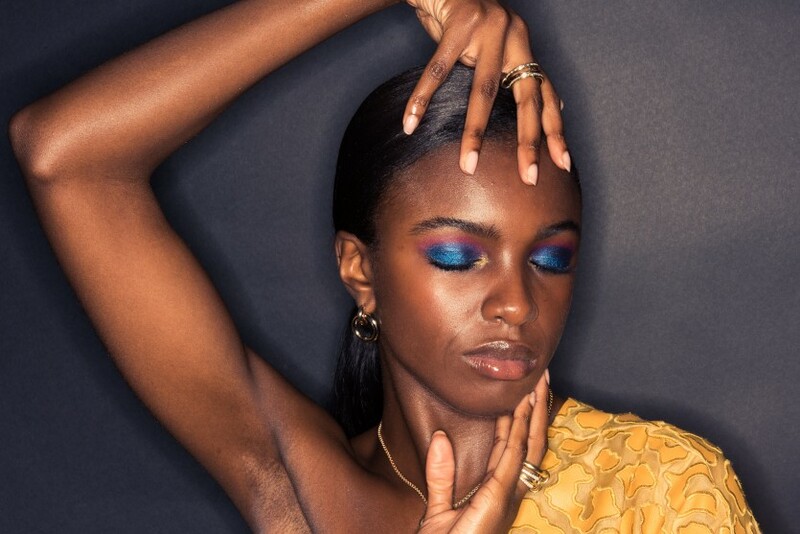 We tapped two Coveteur favorites, model Leomie Anderson and makeup artist Deanna Melluso, to create the kind of multi-colored disco eye that would fit in anywhere from House of Yes in Brooklyn to a dinner at The Grill in Manhattan. Or, frankly, a really good house party, too. Melluso gave us the step-by-step to pull this look together, starting with blended eyeliner, three colors of shadow, and a final tightlined black eyeliner. 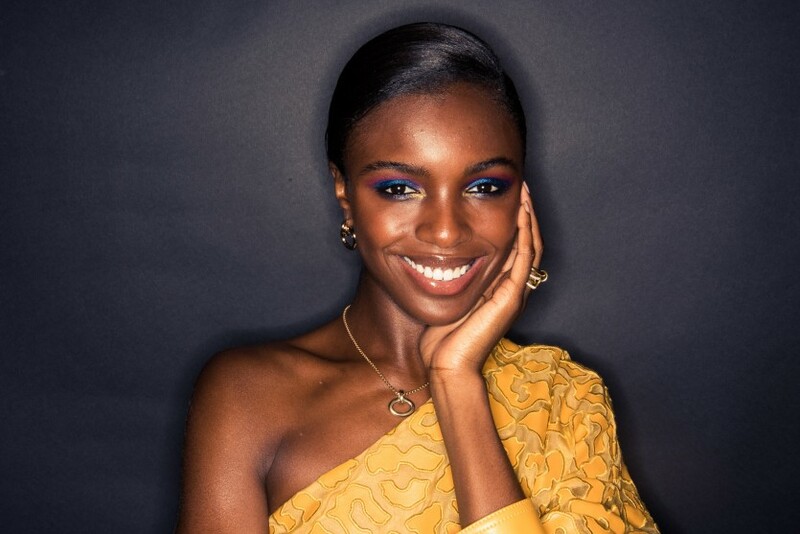 The end result is clear proof of why Anderson has been a favorite of makeup artist Pat McGrath to model her makeup line (Melluso used plenty of Mother’s products here). This is also all the fall and holiday makeup inspo you need. Follow along with the video above and the step-by-step instructions below. 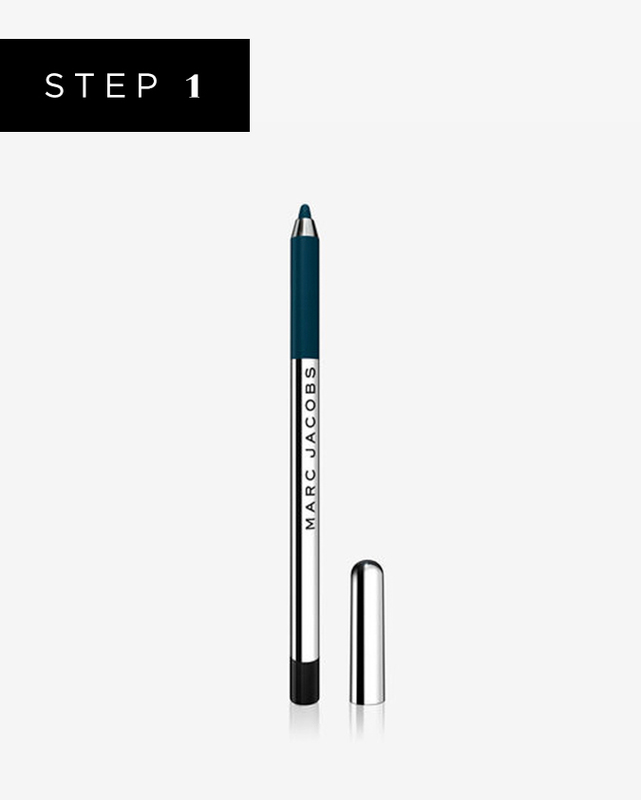 Take a smooth gel eyeliner in a sparkly charcoal or midnight blue, and trace it along the upper lash line from the very inner corner to the very outer corner. Blend it up toward the crease with a small flat shadow brush. This product is a favorite among editors for how smoothly and easily it glides on, plus its impressive library of colors. On top of your dark sparkly base of eyeliner, use an iridescent blue in a bold cobalt or peacock hue. Using a dense small flat shadow brush, pat the color onto the upper lid in a clean line—don’t blend out into a wing or up into the crease. Add this shade to the lower lash line. The colors in this palette are drool-worthy, including Blitz Blue, which Melluso used here. It’s the kind of deep shade that you basically lose yourself in. With a fluffy eyeshadow brush, use a bright pink across the span of the crease, going back and forth with the brush. Blend over the blue slightly to create a purple that marries the two shades. The shade Rose Risque in this palette is a super-saturated “ultra-pink” that stands out boldly on any skin tone. To add a brilliant, eye-catching spot of gold, Melluso slightly wets a small pointed eyeshadow brush (sometimes called a pencil tip brush), and dabs the metallic in place in a V shape around the inner corners. The wet brush makes the color even stronger. 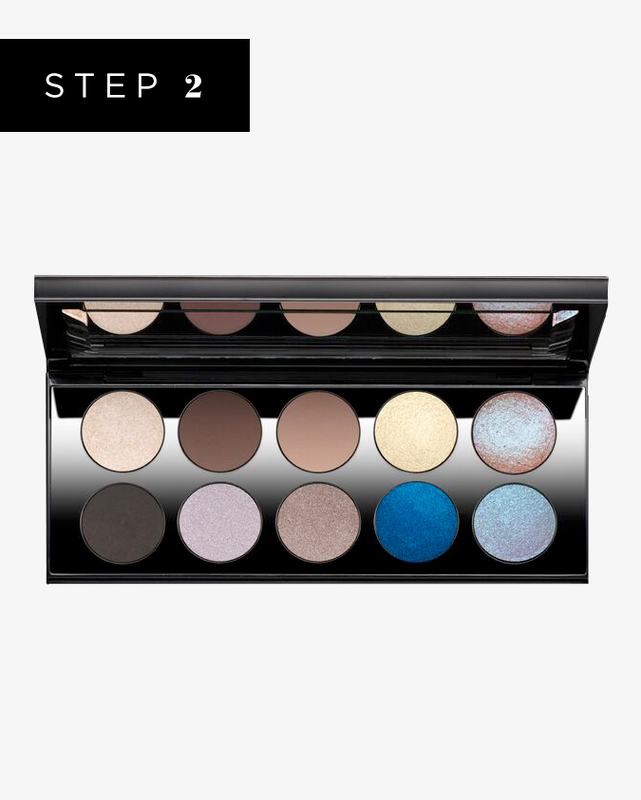 With a nod to her original gold pigments, McGrath included her Pale Gold 002 shade in this palette (same one as for the blue above! ), which was perfect for Melluso’s vision. To really make Anderson’s eyes pop, and anchor the bold color with even more saturation, Melluso took an inky black eye pencil and applied it into the inner lash line (aka tightlining). Tip: Don’t sharpen the pencil super sharp; warm the tip up on the back of your hand first, and apply carefully. 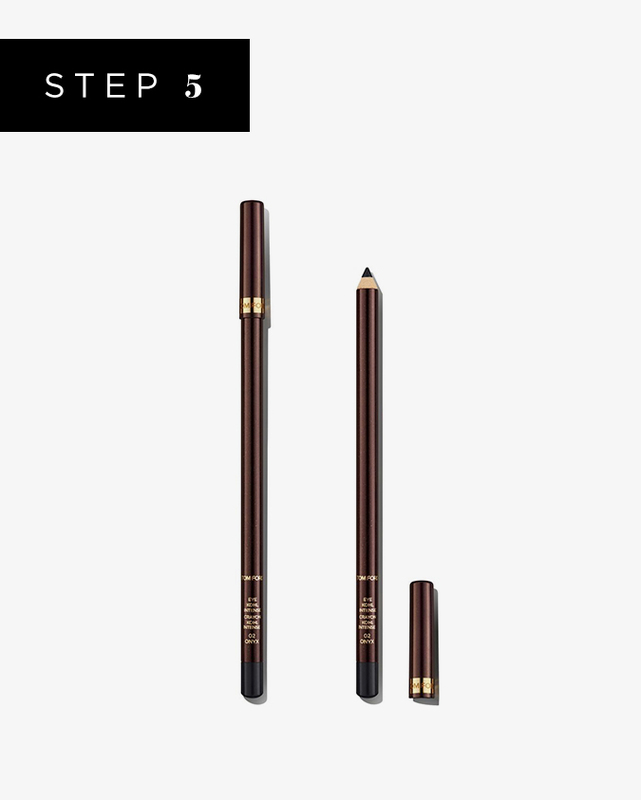 This classic pencil applies smoothly with strong, deep black pigment, and doesn’t budge.